Our sources have told us that AMD will be launching their high-end Vega GPUs for consumers in May. The launch will feature gaming products that will be coupled with the next-generation GPU architecture and HBM2 memory. AMD Vega GPUs are designed for a wide range of applications such as gaming, professional work and server oriented tasks. Vega has been demonstrated and detailed at various events with the most recent one being CES. AMD showcased Vega running inside their Ryzen based desktop PCs. 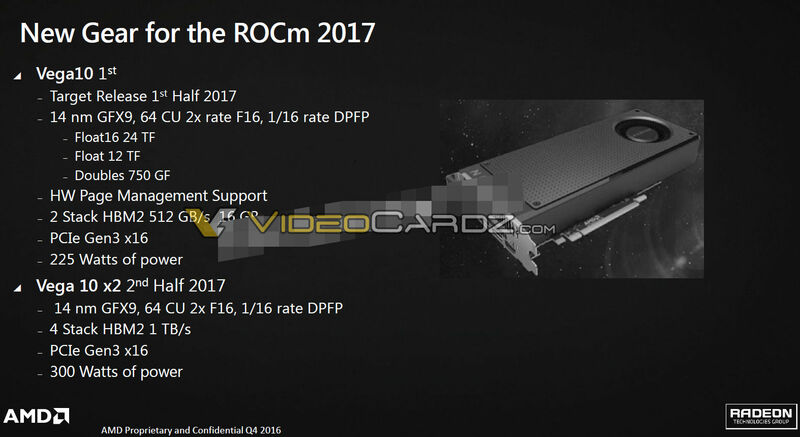 The consumer Radeon card based on Vega was pictured last week in a video published by LinusTechTips. It gave us a pretty good look at the demo build AMD was using at the event, more on that here. 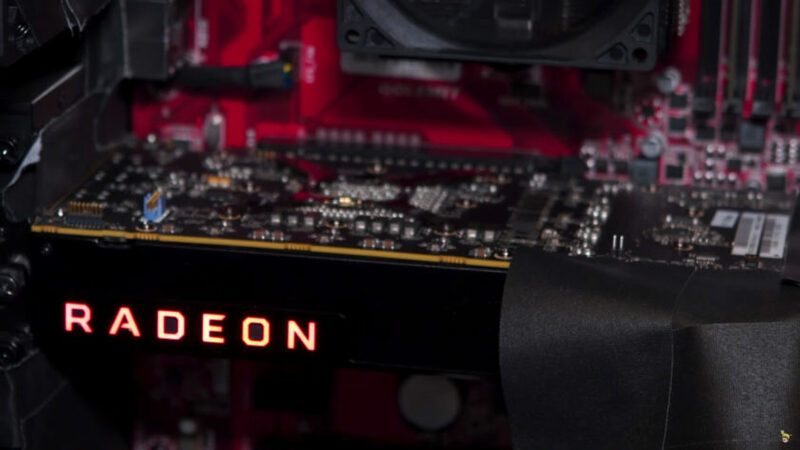 The launch of Vega based Radeon graphics cards will come a year after NVIDIA launched their GeForce 10 series graphics cards based on the Pascal GPU. The first GeForce 10 series card, the GeForce GTX 1080 was launched on 27th May. The launch will take place at a special event since AMD is planning to launch their Ryzen processors at GDC. Depending on the actual date, the launch may be close to Computex which starts on 30th May so that could be possible. AMD will have Vega GPU based cards available in several SKUs for enthusiasts. They have at least two chips in the lineup, the Vega 10 which is the high-end part and pictured already. 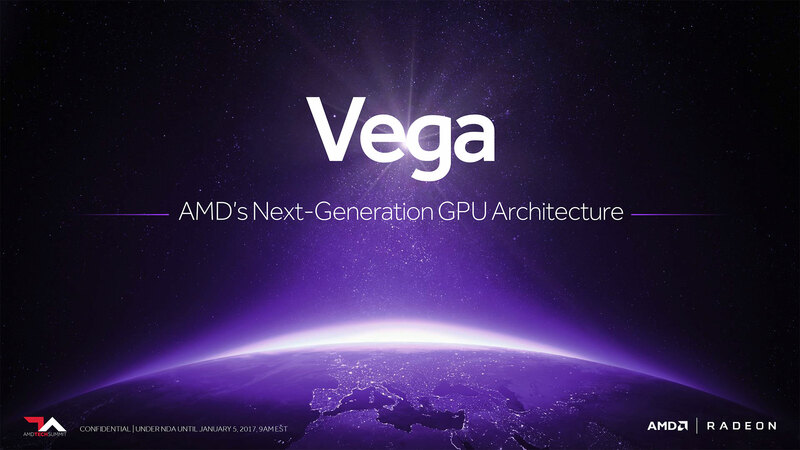 There’s also the Vega 11 GPU which is the low-end part and expected to launch at the same time. AMD may also show their dual-chip Vega 10×2 based card at the event although it won’t likely be available till a later date. 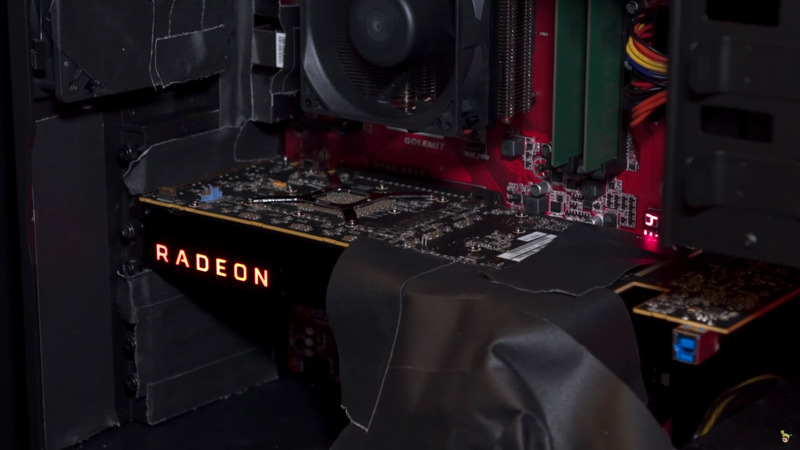 AMD previously showed the Radeon Pro Duo board several months before it’s launch at E3 2015. The card didn’t launch until March 2016. The graphics chip will be utilizing the latest 14nm GFX9 core architecture which is based on the NCU (Next Compute Engine) design. The graphics card will feature 64 Compute Units or 4096 stream processors. 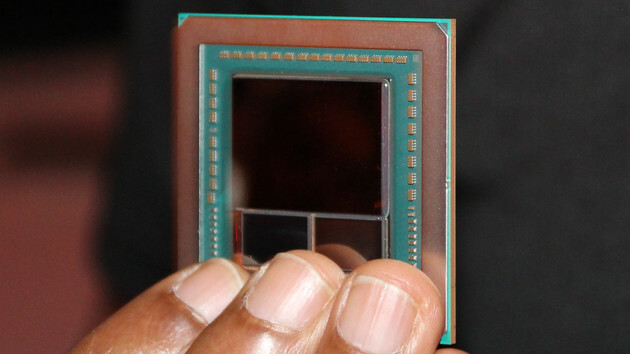 AMD plans on increasing the throughput of the chip through increased clock speeds. 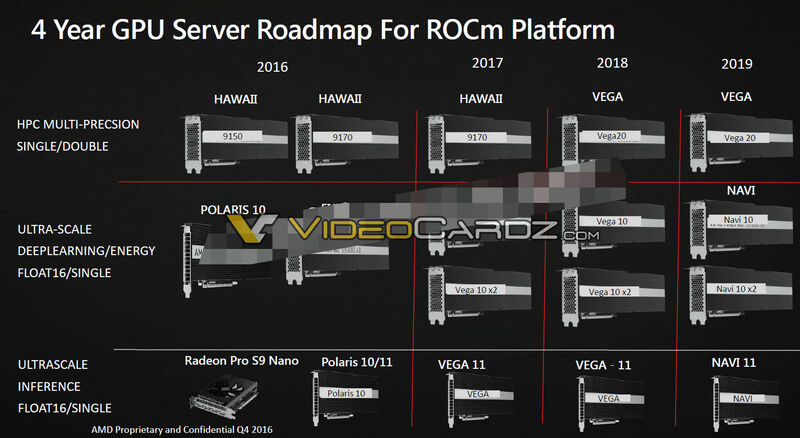 This will allow AMD to pump numbers better than the Fiji GPU which is based on 28nm GCN 3.0 architecture and comes with the same number of cores, e.g. 4096 SPs. The first generation HBM graphics cards such as the Radeon R9 Fury X was limited to just 4 GB of VRAM and had a bandwidth of 512 GB/s. It had 4-layers per stack (256 MB per layer) and that will continue with the latest Vega GPUs since AMD will have to maximize value on these cards for the gaming audience. In the case of 4-layers, we will be looking at higher densities per layer. The pin speed also increases with HBM2. 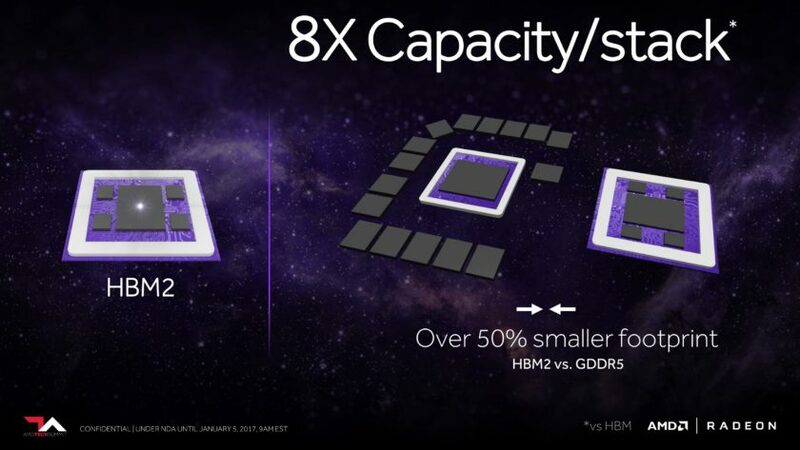 The new memory standard can clock up to 2 Gb/s compared to 1 Gb/s on HBM1. As for pricing, Polaris was aggressively priced against its Pascal based competitors. We can expect the same with Radeon Vega which will be priced to tackle the GTX 1080 and more possibly, the GTX 1080 Ti. If all goes well, AMD will have a great launch event set up for Vega around Computex and will have loads to showcase to gamers and enthusiasts around the globe.